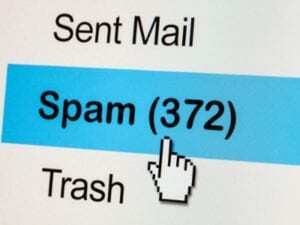 An email campaign with no plan can just be thrown in the Trash or Spam folder now. Email campaigns can be very beneficial to a company’s success. Today, we will go over how you can make an email campaign that can convert your targeted audience into clients and help them through the buyer’s journey. How do you create an effective email campaign without being marked as Spam or ignored? An email campaign starts with your audience. It can be difficult reaching out to hundreds of contacts at once while trying to create a personal relationship with them. It is tempting to purchase your email list, and while 10,000 contacts that you can initiate contact with may sound great, you could hurt your company’s image. Over the course of a few years, I’m sure you have a few business cards stashed somewhere. Somewhere in there can be your next thousand-dollar lead. Maybe you’ve connected with a few people on LinkedIn, start there! The buyer’s journey is real, it is not a myth. Knowing where your audience stands is crucial. There are 3 stages, Awareness, Consideration, and Decision stage. Each stage is crucial to the success of an email campaign. You want to make sure that you are sending them information that they can relate to. Claudia has been in and out of contact with you. She has expressed some interest in your services but claims that her company isn’t ready to take the step. Claudia is in the Consideration Stage. She knows that her company could benefit from your services and has considered her options but hasn’t taken the step to follow through. Erick has recently connected with you on LinkedIn. You have introduced yourself and have had a bit of conversation. You see that Erick has reached out to his connections about a problem he is experiencing with his company. Erick is in the Awareness Stage. He is aware that he has a problem and he is trying to understand his problem with the help of his connections. Dealing with someone in the buyer’s journey can be difficult, and you might not always be able to tell which stage they are in. However, separating your contacts by which stage they are in can pose to your advantage when creating campaigns. You can better connect with your lists if you know what they are looking for. Do you have the right software? Still using your Outlook account? 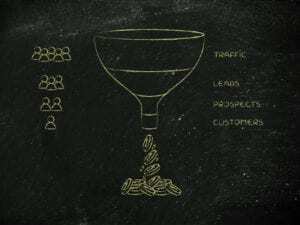 Most individuals that are just getting their feet wet in email campaigns may think that this is a more personable way to connect with their leads, however, it is nearly impossible to keep their emails organized. There are a few CRM (Customer Relationship Management) tools you can try. Find which will work best for your services and audience. You should also make sure that whichever software you use can integrate with your website to capture your leads. Are you using the right format? When writing an email campaign, you want to talk to your buyer persona. This is an ideal candidate for your services or product. Learn how to create your ideal buyer persona. If you would like to reach an executive or branch manager, you should remain formal throughout your email campaign. However, if you are targeting more casual personnel, then a nice greeting and a casual hi should be more appropriate. There is a bit of controversy with images in email campaigns. There isn’t a simple answer to this. While images can create a great visual component to emails, it can cause email providers to mark Spam on some. How do you read this line? Simple. Know your audience. If you are targeting more of professionals, most likely, their emails are through Microsoft or encrypted somehow for protections. This, however, makes it a bit harder for us as marketers. You are better off having no images. Once marked as Spam, it is hard to get off unless the recipient marks you. And let’s be fair, when’s the last time you went through your Spam? If you are targeting more of the everyday person, you have a bit more leeway. Gmail and Yahoo know that images come through and don’t recognize them as a threat. Email campaigns are a trial and error process. It involves a lot of slight changes and reviewing results to see what works best. Your next client or customer could be in your lists. Be sure to update your lists constantly. Also, a bit of advice, don’t be discouraged if members of your list unsubscribe. Your lists will fluctuate over time. Your campaigns can be beneficial to you and your company if you stay motivated.